The Clark County School District is holding a Student Legislative Working Group on Wednesday, March 27, 2019 at Vegas PBS. A CCSD high school student who is interested in sharing their voice in this current legislative session is encouraged to participate. 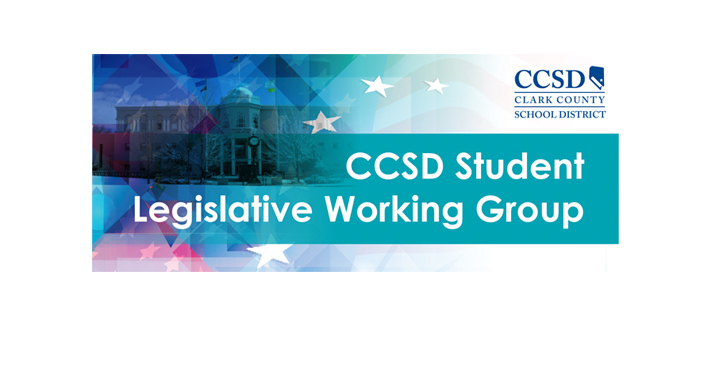 The CCSD Student Legislative Working Group will run from 3:30 – 5 p.m. and time will be given to students to freely discuss their opinions on the above topics, and students will learn how to share their opinions with legislators. Parents are also welcome to attend this first meeting as there are potential travel opportunities to Carson City during Spring Break for your student to consider.